David Giles graduated from Interlochen Arts Academy (where he spent his last two years of high school) and then went on to Indiana University, where he studied viola with David Dawson and Abraham Skernick, and chamber music with Fritz Magg and Georgy Sebok. From 1979-1982 he was a member of The Florida Orchestra, playing co-principal viola for the 1980-1981 season. While there, he became a founding member of Tampa Musica Viva Chamber Players, whose NPR and PBS performances, as well as those at the University of Tampa and in St. Petersburg, received critical and audience acclaim. A Philadelphian for more than 25 years, David’s work has included performances with Pennsylvania Pro Musica, Orchestra 2001, Peter Nero and the Philly Pops, and Choral Arts Philadelphia, among many others. He has performed in premieres of works by Rands, Fekete, Schnittke and others. 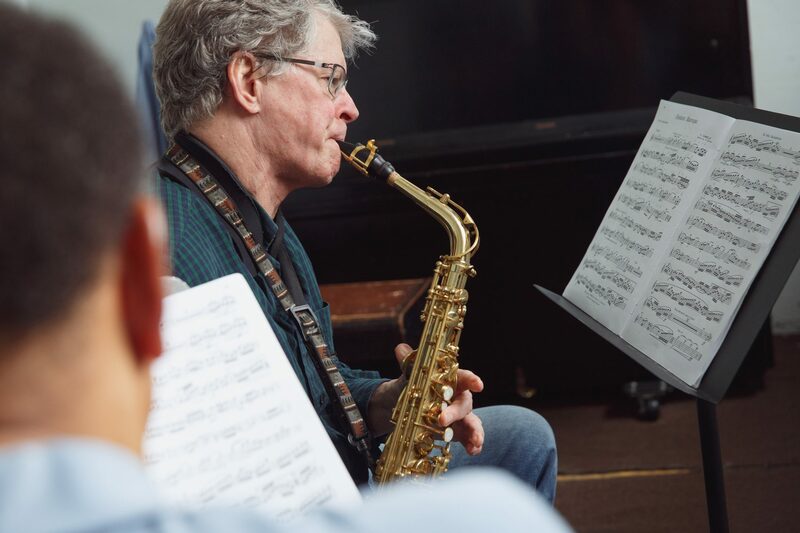 He maintains an active studio, teaching privately and at Philadelphia’s venerable Settlement Music School.